NASA did up some posters celebrating the 40th anniversary of the Voyager spacecraft (Voyager 1 launched September 5, 1977). I’m digging this K-Tel themed one. 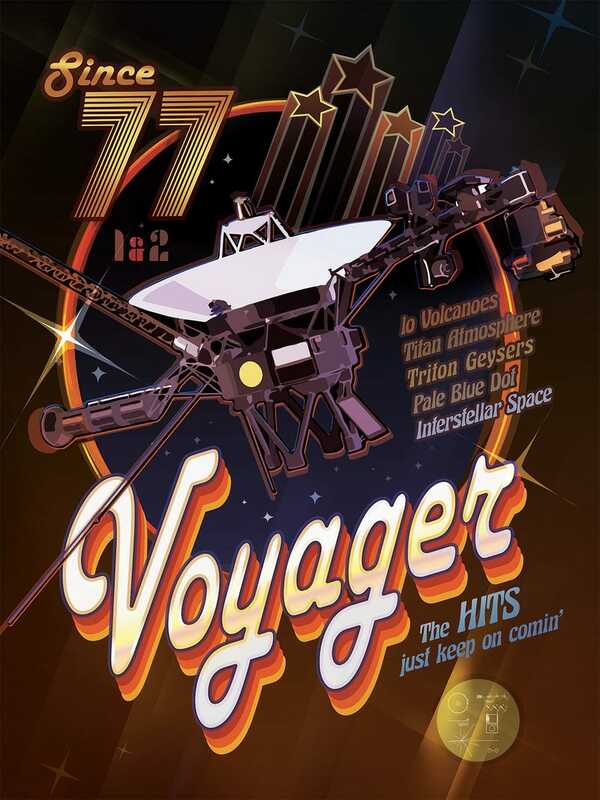 There is actually a gold record containing images, music, mounted to Voyager (one side of it is shown on the bottom of the poster) in case someone from another civilization finds the spacecraft - or crashes into it with their flying saucer. The golden record’s contents were selected for NASA by a committee run by Carl Sagan. You can check out the contents at JPL’s site or at Wikipedia.